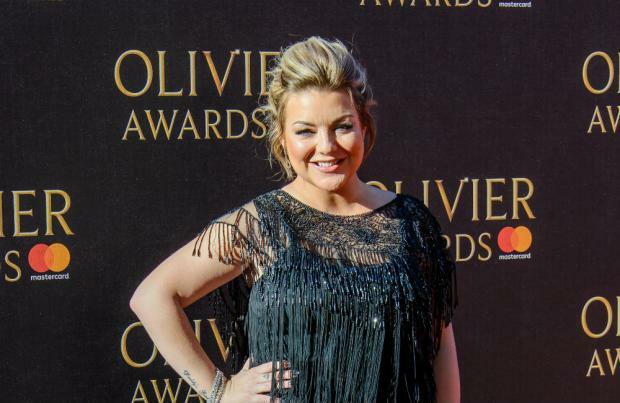 Sheridan Smith finds it "quite weird" having to be herself on her new album. The 37-year-old actress is currently in the studio recording her first record of original songs, following the success of her 2017 debut LP 'Sheridan' which was comprised of covers from musicals, but she admits it's more challenging penning lyrics about her own life than portraying a character on screen or stage. In an interview with Magic radio, which airs on Friday (06.07.18), she spilled: "When you're playing a character you immerse yourself into someone else. That's the first thing I found quite weird about doing an album - having to be me." However, the former 'Two Pints of Lager and a Packet of Crisps' star - who battled with extreme anxiety when her father passed away in December 2016 - says it has been like therapy channelling how she is feeling through her music. She said: "That's a way of releasing stress and stuff and you know, putting it into music so I can't wait - it'll be nice to do the two opposite things." A source previously said the 'Cilla' star wants to sing about her real life experiences on the record with songs set to be inspired by the tragic death of her dad Colin Smith and her recent engagement to insurance broker Jamie Horn. The source added: "She feels she's been through enough drama in her life to top the charts and has even joked to mates she'll be the UK's answer to Taylor Swift." Sheridan landed her deal with East West Records after impressing with her vocal talents on stage and screen, with roles in musicals 'Into The Woods', 'Little Shop of Horrors' and 'Legally Blonde' and most notably when she played late singer and TV presenter Cilla Black in the 2014 TV series 'Cilla'. Cilla's hit 'Anyone Who Had A Heart' was covered by Sheridan and was one of the highlights of the LP along with 'City of Stars' from 'La La Land', 'And I Am Telling You I'm Not Going' from 'Dreamgirls' and 'For Forever' from the contemporary Broadway smash 'Dear Evan Hansen'. Sheridan's first record - which was co-produced by Tris Penna and Steve Sidwell who worked on George Michael's 'Symphonica' tour and subsequent live album - reached number nine on the UK chart and also earned her two Classical BRIT Award nominations.